Birds are chirping, flowers are blooming, and spring is in the air. 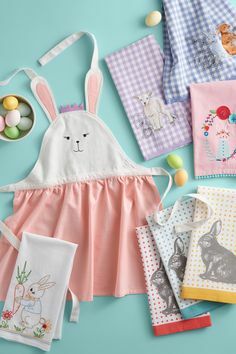 Before we know it, Easter will be here, so I thought I’d share a fun Easter party idea that’s perfect for your next Easter egg hunt with the kids! 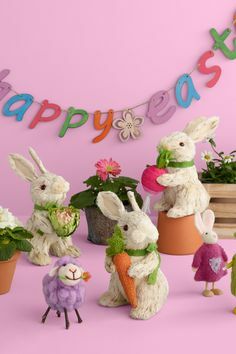 As you can see, this party has all of the quintessential elements of spring: bunnies, chicks, carrots, flowers, eggs, and more. 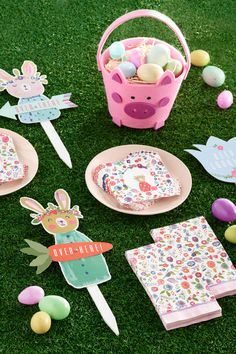 An outdoor Easter party made the most sense for this post since our Easter egg hunt was also held outdoors. Adding touches of green to our rustic outdoor table was easy with the lovely mossy runner. I placed white plum blossoms in moss-filled vases to heighten the spring theme at the table; the vases also added height and created different levels on the table, which created a well-balanced tabletop. To dress up a store-bought cheesecake in under five minutes, I added some colorful pastel Jordan almonds on top to make the surface look like birds’ eggs. Two felt chicks sit on top of the almond “eggs”, looking as if they had just hatched. 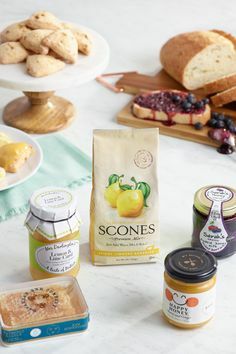 This is such an easy way to impress your party guests without spending a lot of time baking in the kitchen. The cheesecake sits on a gorgeous jade cake stand on top of an upside-down wooden crate with a twig place mat set on top. I created a beautiful spring look by placing pretty white flower bunches inside the crate holes. You can’t have cookies without milk, so I served milk in these adorable vintage Easter bunny milk bottles. I love that these bottles come with a lid and straw—perfect for little hands and fingers that are prone to spilling drinks. I then placed giant Easter eggs around the table on the moss runner, which added playfulness and color to the decorations. Gummy bunnies and carrots and flavored pretzels were served in two different white bunny bowls in the middle of the table. 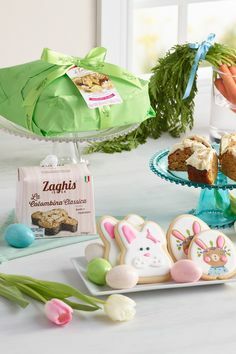 The kids loved these fun treats, especially the little pink bunnies. Three decorative carrots were the perfect addition to the table in between the two bunny bowls. For an activity before the hunt, I set up a craft table for the kids. All we needed were eggs, a pink and black permanent marker, some white cardstock, scissors, and a quick-dry tacky glue. 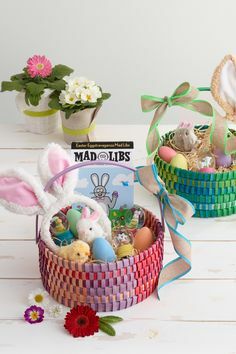 We used white craft eggs because they don’t break and they look just like real eggs, but you can also use plastic eggs or hard-boiled eggs instead. Kids of all ages will love making these eggs because they are really easy to make—and they look great! Step 1. Draw two small black circles for eyes with a black permanent marker. Draw a small triangular nose, and a small straight line coming down from the nose. Step 2. With the pink permanent market, color in two circles on the side of the nose to make two pink cheeks. Step 3. Cut two tall thin triangles out of white paper for the ears, then glue onto the back of the egg. Step 4. Every bunny needs a fluffy tail, so use a quick drying glue to add a white pom-pom to the back of each bunny egg. Aren’t they cute? Even younger kids can craft these eggs because they are so simple to make. They look great when stacked in a colorful pail or placed in an egg cup for the Easter tabletop. I hope you enjoyed our Easter party! 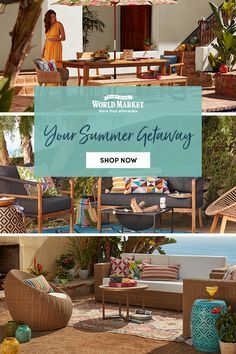 Hop this way for unique and affordable Easter eggs, baskets, candy and more! Happy hunting!